Japanese style tempering SK-120 premium grade snap-off blades. 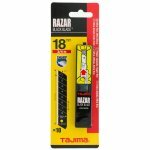 Developed for the tool enthusiast or professional, the Tajima Razar 18mm Snap-Off Blades 10PC is an excellent choice for cutting including applications with wallpaper, cartons, cardboard, and film. You'll gain an exceptionally smooth and fine quality of cut, because of Japanese style tempering and multi-step sharpening. As a result you'll be equipped with a world class cutting edge for truly exceptional cutting performance. To lower cost-per-cut, blades stay sharper for longer making them a wise choice for professionals! 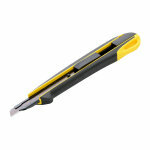 Expect a 10 pack of 18mm snap-off blades, with 8 cutting points per blade (80 cutting points in this pack). 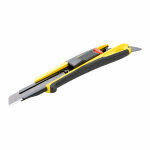 Produced with SK-120 premium grade steel with a blade thickness of 0.5mm. 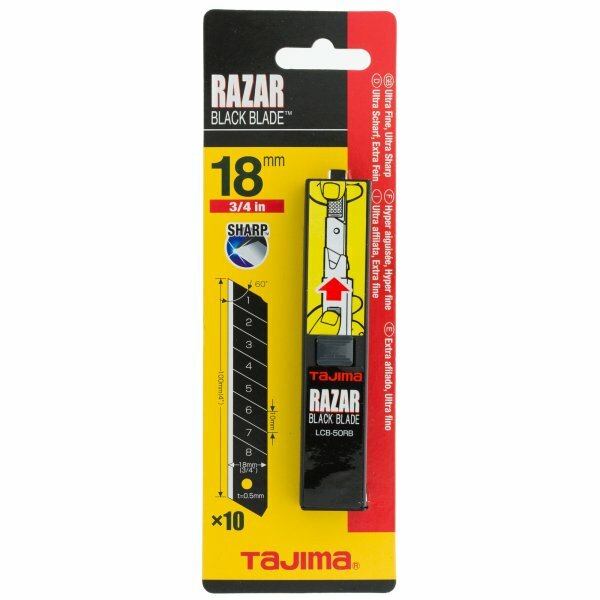 Order this 18mm snap off blades now and you'll enjoy a blade that stays sharp for longer on your next cutting and scraping project.